The development of our players here at DB Sports Tours is at the forefront of all of our work, and it is our pleasure to announce some exciting news for Trevor Clarke. Clarke (17), who plays for Shamrock Rovers, has been included in their First Team Squad’s tour of India next month. Clarke is a leading member of the under-19 squad who compete in the under-19 Elite Development Division, but has been included in the senior tour, as the only member for the under-19 group to make the trip. Clarke previously had a stint with Middlesbrough, and has been capped several times for the Irish youth set-up. Last year Clarke travelled to the European under-17 Championships, notably scoring twice in a match against Gibraltar. 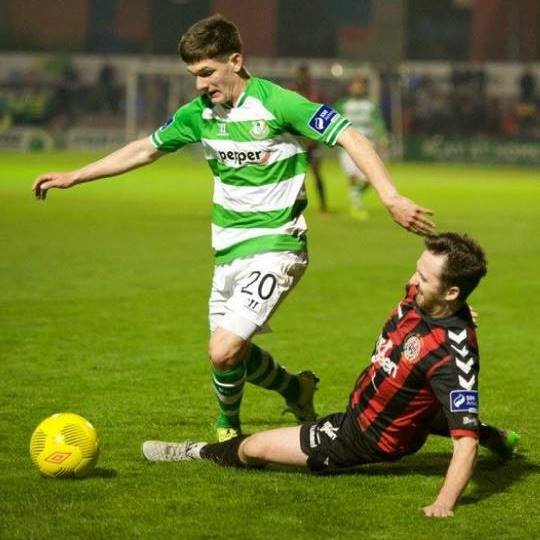 Clarke’s résumé is as extensive as it is impressive; not only has he been capped for his country, but has won three All Irelands, two League Cups and a DDSL Premier Title for St. Kevin’s Boy’s. Now with Shamrock Rovers, Clarke will travel to India with the senior squad for the Sait Nagjee tournament. While there they will take on a host of notable under-23 sides, including the likes of FC Volyn Lutsk (Ukraine), 1860 Munich & the Argentina National side. As ever we are really excited to see our players go from strength to strength and this is the latest sign that hard work pays off. For more information on the development of our players development, keep an eye on our busy blog here.